DSLRs have a come a long way from shooting 720p HD videos to the modern behemoths that have built-in 4K / UHD capabilities and a host of video shooting features. Though a true professional would still prefer a proper video camera because it has better video shooting features, DSLRs are no pushovers. Some DSLRs have the ability to output clean HDMI footages. These footages can then be processed as per taste later on. DSLRs like the Nikon D850 comes with focus peaking and zebra functionalities which gives you the option to monitor areas where focus is locked and highlights are blown. These are extremely useful when shooting videos manually. Here are a list of 20 DSLR video tips which you can keep an eye on when shooting and when post-processing your footages. 4K is the new standard when it comes to shooting videos with a DSLR. Sure, not many older generation cameras have that option, but most modern DSLRs will give you the option to shoot 4K / UHD. In fact, some cameras like the 5D Mark IV will even allow you to output clean unprocessed footages using an external HDMI video recorder (e.g. see the Canon EOS 5D Mark IV DSLR Camera with Filmmaker’s HDR Kit). This is a great advantage in terms of post-processing flexibility. ✔ A majority of cameras use only a crop of the whole sensor to create a frame. In some cases it is a DX crop and in others it is a 1.7x crop. Even crop sensor cameras too, use a sensor crop to produce 4K / UHD video. Few cameras like the mirrorless Panasonic Lumix DC-GH 5 have no crop when recording videos. The Panasonic Lumix DMC-GH5 is one of the few cameras having a no crop video sensor. Most of the cameras will use a cropped sensor when in video mode. The effect of this is your field of view will be smaller. Let’s say you are using a 14-24mm lens on a full-frame camera that uses a 1.5x (DX) crop for shooting 4K / UHD videos. That means the effective focal length becomes 21 – 36mm. On a DX camera, one that uses a crop of the already cropped sensor, the effective focal length will become even longer and therefore the field of view even narrower. You need to keep this in mind when choosing a camera. Find out whether or not the sensor utilizes the whole of the sensor for producing the 4K / UHD videos or only a crop. DSLR Video Tip #2: Keep in Mind: your camera crop size may be smaller when shooting videos (this means also your focal length will change in video mode). Compression format is an important aspect to consider as well. The most common compression format is H.264 / MPEG-4. The other popular compression format is AVCHD. The first compression format (H.264 / MPEG-4) is used by Nikon and Canon. The other format (AVCHD) is primarily used by Sony, Panasonic and other systems. H.264 / MPEG-4 is a compression format which is widely accepted by most post processing applications. And you won’t have to reconvert the footage to any other file format to post-process it. But at the same time this format consumes a lot of storage space. On the other hand the AVCHD format is not widely supported. Plus, you will have more difficulty editing your footages shot in this format. But on the plus side this is a storage efficient format. This is imperative, if you plan on using the recording at the scene to be your final sound bite or want a much better sound quality as sample for future rerecording of the dialogues etc. DSLR Video Tip #4: Use an external mic to get the best audio possible. A poor quality built-in mic will not be enough even if it promises stereo sound quality. It is also imperative when you are shooting a wide angle perspective and the camera is much further away from the protagonists. We did a detailed review of the best external lavalier mics and the best shotgun mics. You may want to check these reviews before going in for an external microphone. There is nothing wrong in picking 24 frames per second to shoot your videos. As a matter of fact 24 fps is what most movies are shot in and it does give that cool cinematic effect. Except, you would miss out on the good action that you can get if you shoot at a higher frame rate and then play back in normal speed. i.e., shoot at 60 fps and then play back at 24 fps. 30 fps will mimic broadcast quality. Please note, frame rate also determines the shutter speed of your camera. Shutter speed not only captures ambient light but it also determines how smooth the action appears on the screen. The thumb-rule is to select the right shutter speed in co-ordination with the frame rate. The thumb-rule is to use a shutter speed that is the double of the frame rate that you are using. Anything faster and your footages will appear jittery. Double the frame rate gives a smoother blend and a cinematic result. Selecting the right aperture means selecting the area of focus and choosing whether to obscure the background or using it in the footage. That means your aperture controls not only one half of the exposure control but it also controls how much depth of field your footages will have. ISO is best left on Auto. Auto ISO takes care of the changing EV and adjusts the ISO number so that the exposure remains the same regardless of the lighting situation. Let’s say that you are shooting on an overcast day, at something like f/4. All of a sudden the cloud cover moves and the sun breaks out. It can play havoc with your exposure if you have dialed it in manually. The solution is to leave it on auto so that the camera selects it automatically depending on the shutter speed and aperture you have dialed in and the changing ambient light. One of the drawbacks of shooting videos with a DSLR is that it cannot lock focus the way proper camcorders or cine cameras can. Contrast detection auto-focusing is sure but it is slow. Canon’s dual pixel CMOS auto-focusing is the sort of thing that you need. This technology is very accurate and smooth. Personally, I wouldn’t want a jittery fast focus lock. That can be somewhat of an issue. Choosing a DLSR camera with DUAL Pixel CMOS Auto-Focusing can be of great help. If I am rocking focus from one subject to the other in a footage, I would want that to be slightly slower, but accurate. Dual pixel CMOS auto-focusing seems to do that. But don’t fret if you don’t have a Canon camera. Other systems have pretty reliable auto-focusing systems as well. If your camera comes with a touch to focus option and a flappable rear LCD screen, that would be great. That way you can simply touch on any spot on the frame and focus will lock instantaneously on that spot. A video footage shot on a DSLR is nothing more than a series of images that are bunched together in sequence. Great. But the problem is these images are actually not RAW but JPEG. That means you have little room to adjust the images in post-production than when shooting in RAW. First, you lose a bit of detail. Secondly, as the image already has high sharpness and contras (because that is what the cameras come set to by default), there is very little room to do any editing work to the footages. The first thing that you need to do is select a Neutral Picture profile. This will give your footages some room to be processed and ‘graded’ during the post production. You can pull down sharpness, and contrast all the way to the left (0 setting) and Saturation down to about 2-4. Set this down so that you can add your own level of sharpness and contrast and color grade the footage during post-processing. Mirrorless systems like the Sony alpha a7R III comes with the HLG & S-Log3 gamma profile. 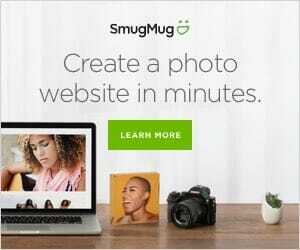 This is a wonderful way to create a flat image which can then be post-processed to add saturation, contrast and sharpness and color graded as per taste. In most cases the Auto White Balance on your camera will do a great job of dialing in the right white balance for your footages. However, if you prefer a custom white balance, you can choose one of the preset options or dial in a custom white balance if you want to. Not the best of choices for professional work, but will work fine for everyday video work. Use these steps to dial in the right white balance of your footages. These steps will vary from camera to camera. But they are by and large applicable to all DSLR systems. Then select Custom White Balance. Next take a sample picture of something white in the vicinity under the same light you are going to make the footages. Use this image as the custom white balance setting for your camera. Now when you switch to video mode, select custom white balance and your footages would use the white balance setting you chose. DSLR systems like the Nikon D850 comes with focus peaking. This technology highlights the areas that are in sharp focus when shooting in manual mode. It does this by detecting the edges of the highest contrast. Which in other words denotes the areas of sharpest focus. You can set the color for the highlight as per the scene that you are shooting. DSLR Video Tip: Using a Monopod (like Manfrotto) will stabilize your video shots. Stabilization is a must have. It really does not matter what kind of stabilization you use, DIY, built-in or otherwise, as long as you have something to stabilize the camera as you shoot your footages. I am not a big fan of electronic stabilization. It will always cut some of the frame which is never a great thing. The easiest thing to do is use a stabilized lens. Unless of course you are using one of the Sony systems or Olympus which come with sensor shift type image stabilization that makes all compatible lenses stabilized by default. The other option is to use a physical stabilization gear. Such as a tripod for example or even a monopod. A monopod is a personal favorite. They take very less time to set up and allows you to move around more freely compared to a tripod. Some travel tripods comes with the option to take one of the legs off and it becomes a monopod. I carry one of those when I travel. If I don’t have anything at hand I would use the camera strap to stabilize the camera by holding it tight against my neck as I pan and move. My two hands would be holding the camera for extra support. This gives me a stable position to shoot videos with. You probably have seen moiré previously. Probably in your own images. Never realizing why that happens. We are not going to go deeper into the technical reasons why moiré happens. All you need to know is this happens mostly when shooting repeating patterns. DSLR Video Shooting Tip #14: Avoid Moiré. Check if it happens, re-shoot the sequence if needed. Weird waves of line appears in your images and or false colors. The best solution for countering moiré is already built into your camera – Optical Low Pass Filter. However, if you have a recent Nikon or Canon system, it is likely that your camera ‘does not’ have the OLPF. Meaning your camera is prone to moiré. Unlike stills, the solution for avoiding moiré in videos is not that simple. The best option would be to avoid it completely if you have the time to reshoot the sequences that is affected by moiré. Make sure to review your footages immediately after and check for moiré (among other things). If there is moiré reshoot the sequence. One of the tools that I would recommend using is the ND filter. I love the shallow look of my footages. But rarely is there an opportunity to shoot wide open when shooting outdoors especially in bright conditions. Let’s say that its mid-day and you want to shoot a f/1.8 to create a shallow depth of field and play around with selective focusing. There is no way you can do that unless you have a way to stop light. Else, your footages will be overexposed. The best solution is to use a ND filter. A ND filter will stop light and therefore allow you to use a wide open aperture and get that shallow depth of field for shooting great quality videos. ND filters have another advantage. You can capture motion blur using them. It is handy when shooting in bright light. Let’s say that you are shooting a movie scene in bright light. Normally, for the movie look, you need the shutter speed to be around double of the frame rate. But in bright lighting conditions you cannot shoot at around 1/60th of a second. You have to use a faster shutter speed to cut down the ambient light. Using an ND filter opens up the avenue to shoot at a slower speed. Just like any good movie, you need to plan what you want to shoot in advance. You also need to decide how you are going to shoot it, what camera angle you would use and how you would work the camera angles. Picking the right lens for your DSLR video shoots is important. Let’s say that you want to shoot a small clip in front of the Taj Mahal in India. Ideally, a wide angle lens would be good. A wide zoom, something like the 24-70mm with a fixed aperture would be a better choice. Next you have to decide what should be the best angle to shoot from. A slow pan of the architecture would be a great starting point. You could also do a slow zoom, using a wide zoom lens with a fixed aperture. It will capture a slightly different perspective of the architecture. A slider can be either mechanized or manual. Mechanized sliders allow you to control the speed of the movement of the platform (and the camera mounted on it) by programming several speeds to the different tracks. This comes in handy when shooting different subjects. Using a ultra slow speed for shooting subjects like landscapes, and using a faster speed when panning a cyclist or a subject on foot. Available for vertical, horizontal and 45 degrees shooting by using the threaded holes in the slider. Height of legs could be adjusted from 10.5cm to 13.5cm. Gear-shaped joint interface and locking knobs for better position locking for the legs. Easy to carry with an included carrying bag, excellent company for video making. ? The only thing that works against using these rigs are their prices. 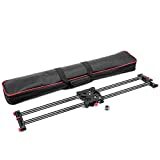 A slider / dolly can be prohibitively expensive for someone who is just starting out as a videographer. However, if you are interested in producing professional quality work and in this for the long run you have to think about investing in one. It will add value to your production. Manual focusing is often considered to be the domain of experts or the gifted. It is usually avoided because it requires a sharp eye and great control over the focusing ring. Most people are content just by tapping on the touchscreen and focusing. That for many is the most definite way to focus. When shooting videos, however, that can create a jerky focus lock. Abrupt and too quick for comfort. There are some systems like Canon’s dual pixel CMOS auto-focusing which produces great results in live-view mode. For other systems, try and use the manual focusing option if you can. Use manual focusing assists if your camera has one. Color grading and color correction are often used as two interchangeable terms. They are not the same. Both the processes are, however, part of the post-processing aspect of shooting videos. ✔ Color Correction is about adjusting the color temperature of the footage. It entails dialing in the right color temperature as per the scene that you have shot or use something abrupt based on the requirements of the movie. Usually, it involves making the black appear true black and the white appear true white. Please note that grading and color correction is part of a professional video project only, or if you are practicing your trade. ✔ Color Grading on the other hand is all about using a particular color tone. The aim is to set up a particular color scheme and produce a theme that would go with the storyline. E.g., if you have a happy scene to convey you could use a vibrant color scheme and use brighter tones to achieve that. On the other hand a sad storyline would require a slightly darker color tone. Delicate electronic products like DSLR cameras don’t do so well when they heat up. And it is not always the heat of the sun that you have to watch out for. Long video clips can heat up the sensor. The best option is to know the limitations of your camera and plan your clip lengths accordingly. Switch off the camera in between recordings to cool it down. If possible keep a spare camera ready to take tlenshe primary camera’s position if needed. Another thing that you can do is use some shade to keep your camera cool when working. An umbrella would be great. A screen or a reflector held over the camera would be great too. Anything that can prevent the sun from overheating the camera.